If you need a wall insulation company in Washington or a surrounding area in Utah, the experienced team at Big City Insulation can help you. We work with homeowners and builders/contractors to insulate walls for retrofit and new construction projects. From cellulose for residential new construction projects to fiberglass for retrofit projects, our team does it all. The Big City Insulation team has experience installing different types of insulation in home and commercial building walls and can handle all your needs. If you need more insulation for your home, make Big City Insulation your first (and last) call. 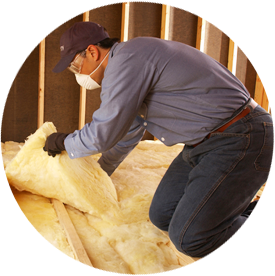 Our residential and commercial insulation teams add energy efficiency, comfort and value to all types of homes and buildings. As part of the Installed Building Products family of companies, Big City Insulation offers knowledge, experience and resources that few local companies can match. To learn more or start your project, call us at 435-215-4127 or contact us online. We’re looking forward to helping you with your wall insulation!